Citroen Dispatch Boot Space, Size, Seats | What Car? With three lengths to choose from, the Dispatch offers more choice than most vans in this class. The compact XS model measures 4600mm and competes with large city vans such as the Renault Kangoo Maxi and Nissan NV200. It has a maximum storage area length of 2160mm. 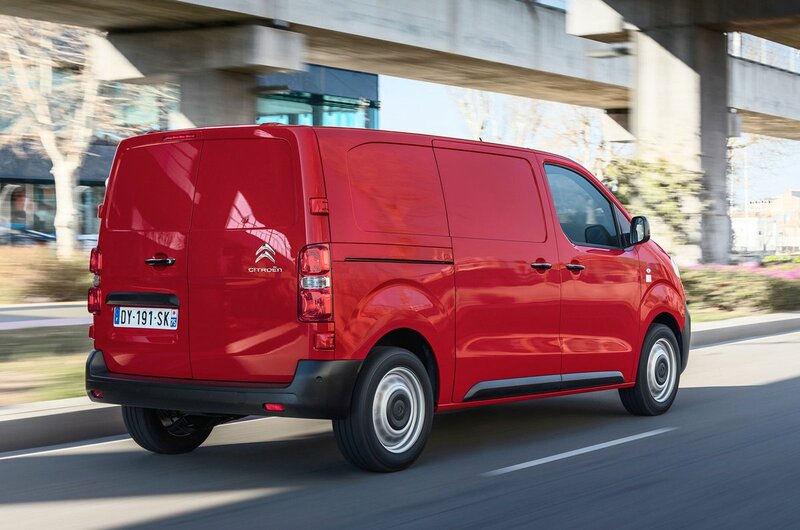 The standard size M van measures up at 4950mm with a 2510mm load length, and the largest XL version is 5300mm front to rear and can transport a 2860mm length. All three vans can be fitted with a folding front passenger seat and load-through bulkhead hatch to provide an additional 1160mm of usable space for pipework or lengths of wood. As well as panel van versions, there is a combi minibus with three rows of seats and space for nine passengers, a six-seat crew van and a platform cab for specialist conversions. Load volumes equate to 5.1m3, 5.8m3 and 6.6m3 respectively for the three body sizes. The overall height of the Dispatch is 1940mm with an internal load height of 1397mm. 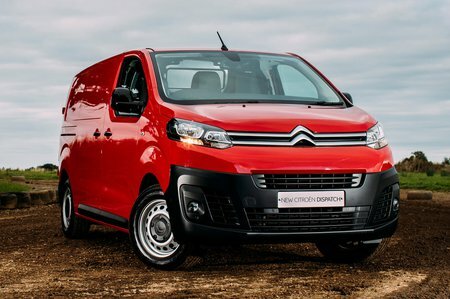 Depending on the model you choose, the new Dispatch is up to 150kg lighter than the previous generation, and the Peugeot-Citroën partnership is more pleased that the van’s kerb weight now compares favourably to the opposition, giving the Dispatch a best-in-class payload of 1498kg for a 3.1-tonne van and up to 1100kg for lower-rated 2.6-tonne vans. 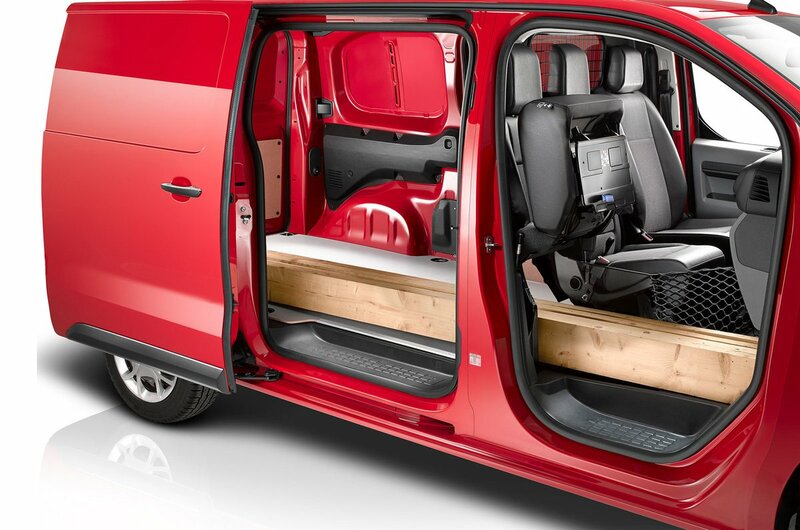 Twin side doors are standard, and there’s a really smart optional hands-free load space opening system. If you wave your foot under rear bumper at the side of the van you wish to open, the side door will open. It’s not foolproof and you may look silly doing it, but on a wet day when you don’t want to put boxes on the floor, it’s a great way to get the doors open.